To get involved as a producer simply visit Mary’s Patreon page here. Patreon producers not only help fund the creation of Mary’s work, but they are the team she turns to for input on future projects. 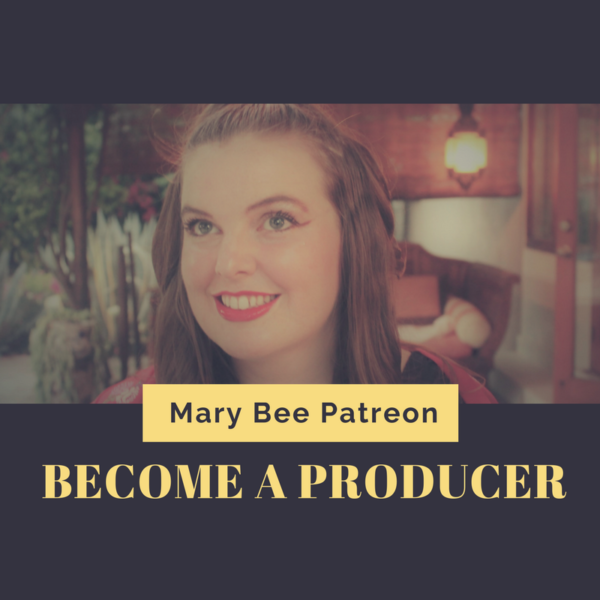 There is lots of Patreon only content given to each member free, starting with the Harmony Bee Vol. 1 EP. During Mary’s European tour, Producers will have access to a private Facebook group where she will live stream exploration of different cities, hangouts with the artists she performs with, & her performances whenever venues permit. Additionally, all Patreon producers are thanked & credited in all Mary’s videos going forward.